TO THE FULL: Happy Birthday, Heidi! Today is also Heidi Sonboul's birthday! to get to design for her using her fabulous products! are all surprising her with birthday cards -- such a fun idea! and sharing it with the DT and we all loved it! & matted it with Friends and Family. from the Chickaniddy Crafts Twirly Girly stamps. I fussy cut the flowers from the Fall Bouquet patterned paper. on the Chickaniddy Crafts blog. Very pretty and soft Leigh! 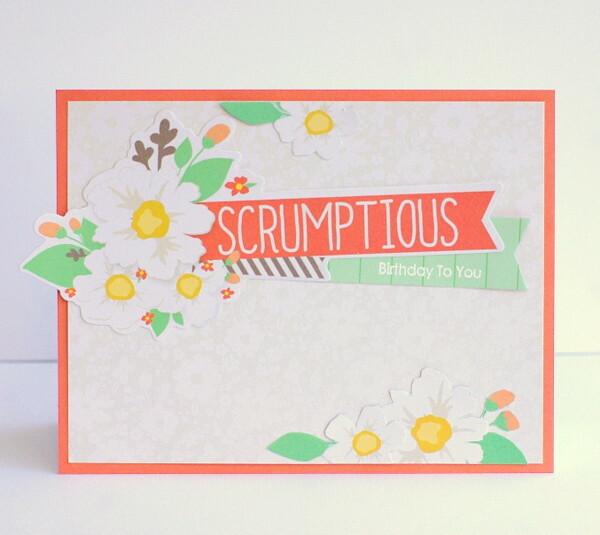 Such a gorgeous card Leigh! Love the fun pops of orange!